Leading Exporter of blind type pressure two wire transmitter and pressure two wire transmitter with display option from Vadodara. 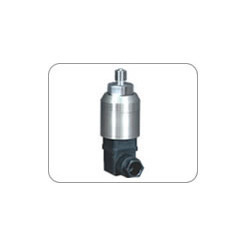 We are widely acknowledged as a prominent organization engaged in offering high-performing Blind Type Pressure Two Wire Transmitter. These transmitters are developed by making use high-grade basic material and electrical components, procured from the established vendors of the industry. Engineered to perfection, these transmitters conform to the defined parameters of the industry. Furthermore, in order to satisfy divergent demands of the clients, we offer these products in different technical specifications. 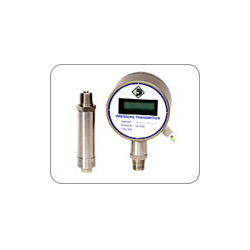 We offering our valued clients an impeccable Pressure Two Wire Transmitter with Display Option (Model 875). Conforming to the defined parameters of the industry, these products provide 4 – 20 mA DC signal on the same two wires that carry the 24V DC power for pressure measurement. Furthermore, these product efficiently convert any pressure range to a current signal of 4 – 20 mA DC. The offered product also provide current output signal which is able to withstand load up to 600Ω. Our clients can avail these products in field mounted housings with or without local digital display. The offered local 4-4.5 digit loop is powered with LCD display that indicates the process value as per configurations. Furthermore, transmitters are supplied in weatherproof or explosion proof housing and also be availed housing suitable for wall mounting in control room. These products include exemplary pressure input integrated circuits, low drift operational amplifiers and industrial grade components. Burning in of each module confirms long trouble free operation. Power Consumption 0.5 VA max. Ambient Temperature 0 – 50 °C. Storage Temperature 0 – 70 °C. Looking for Pressure Two Wire Transmitters ?